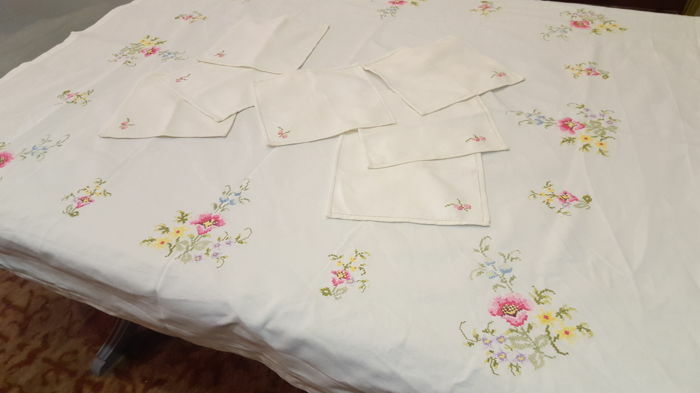 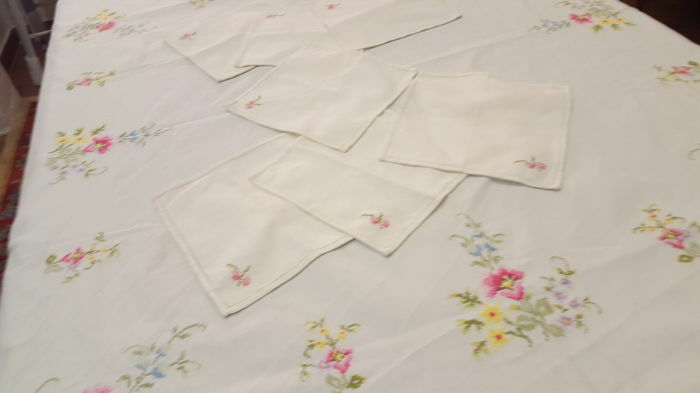 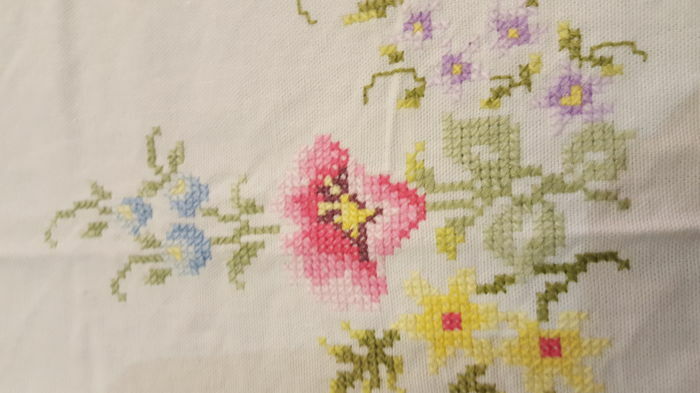 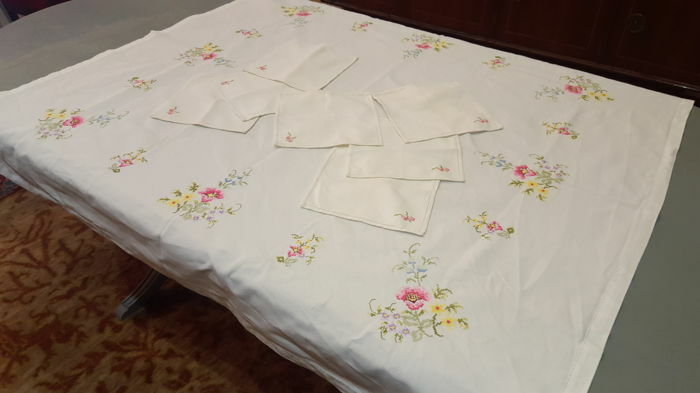 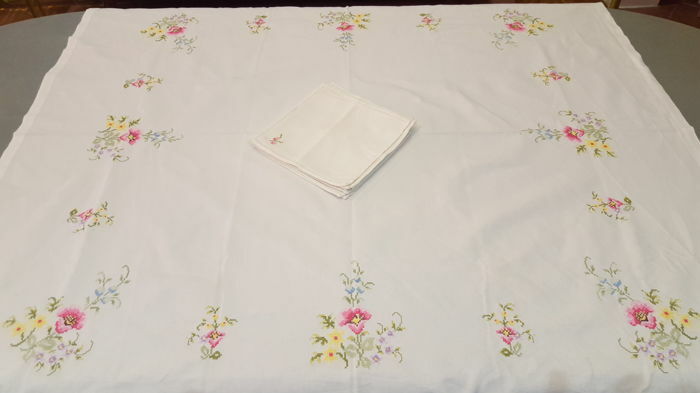 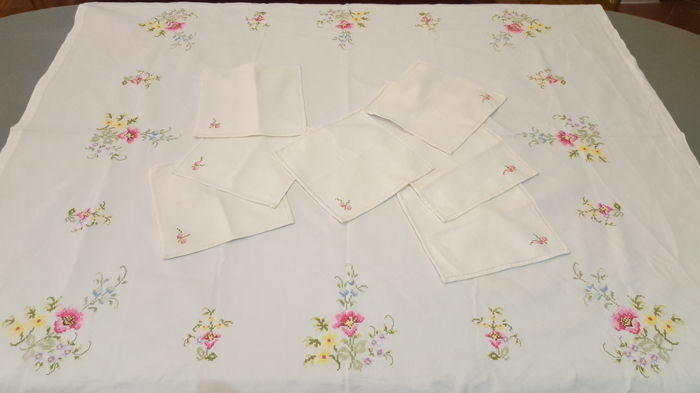 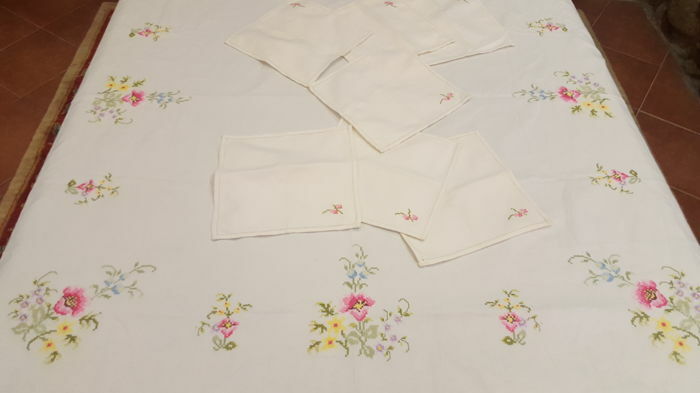 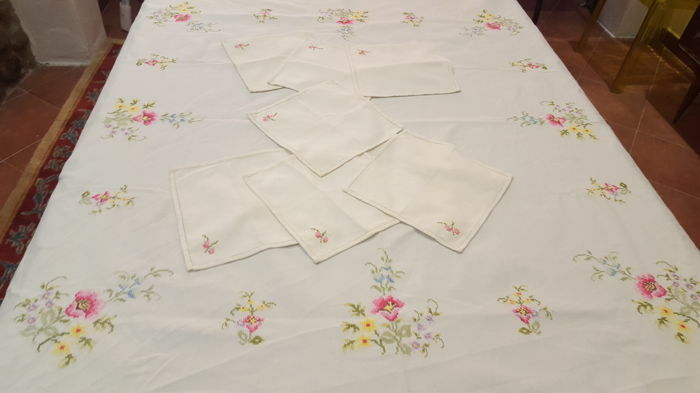 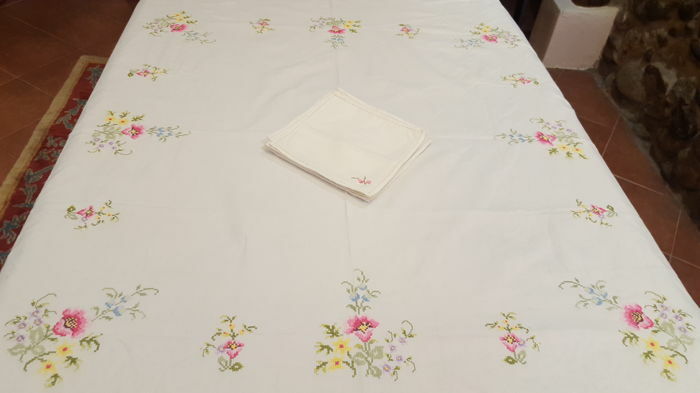 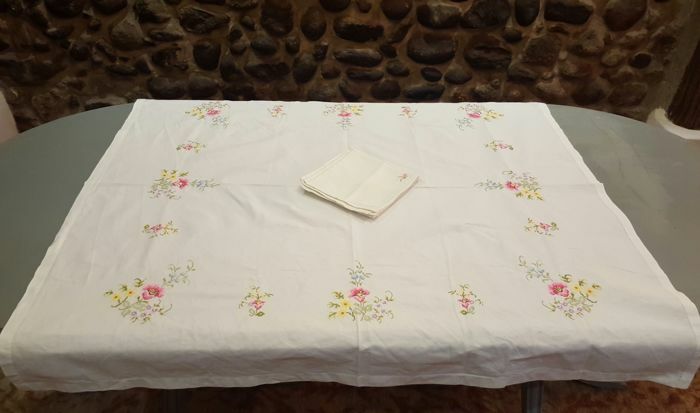 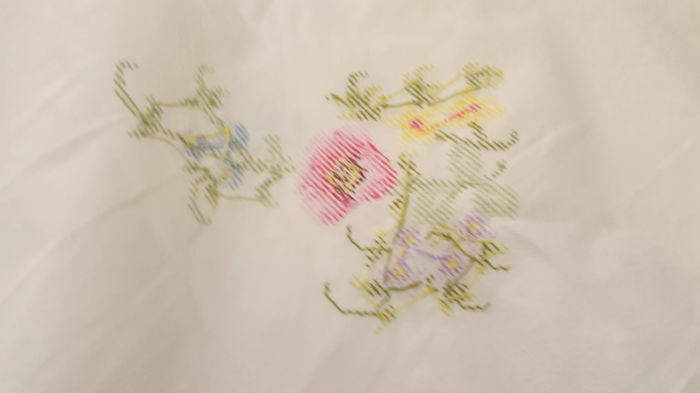 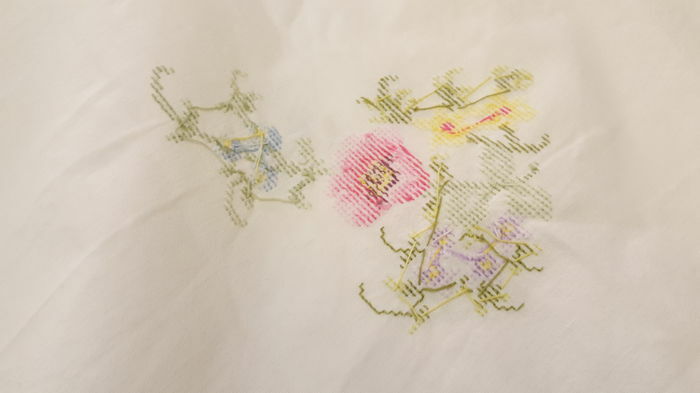 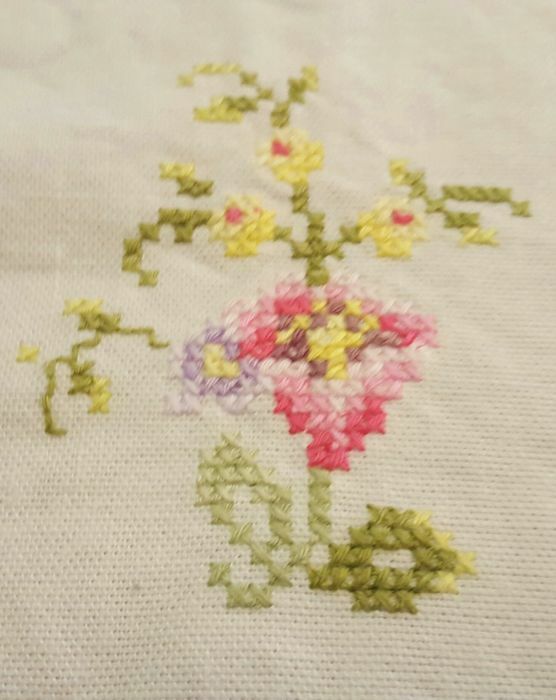 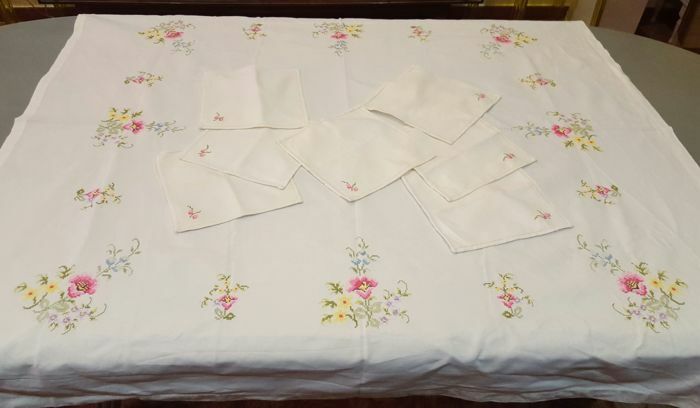 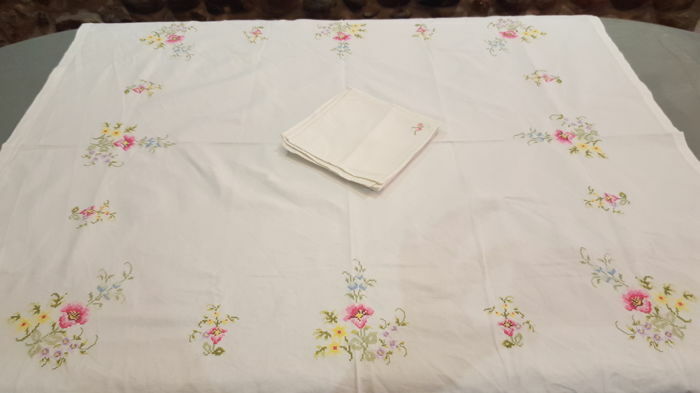 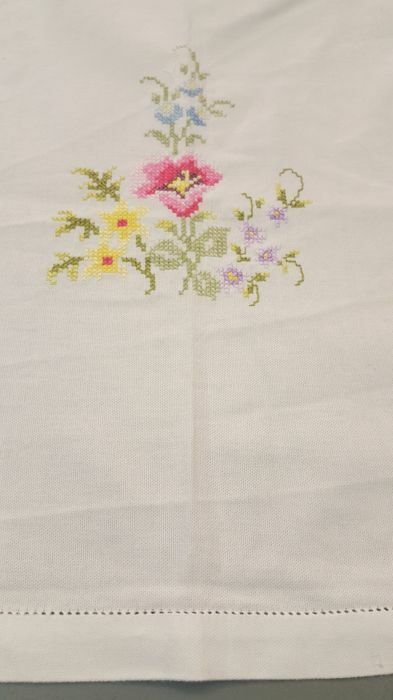 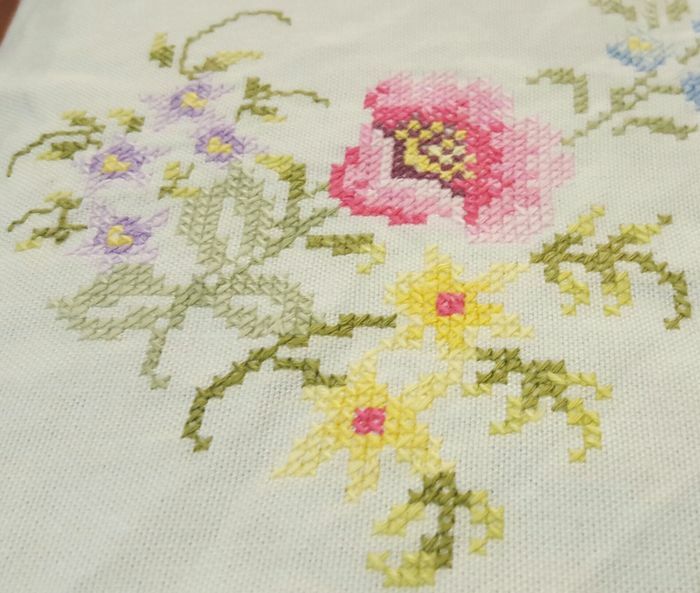 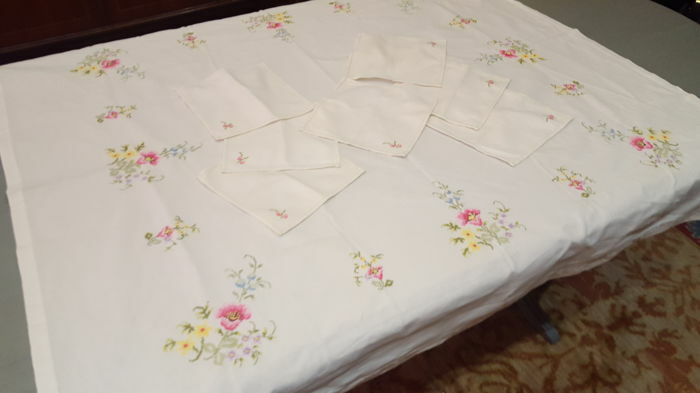 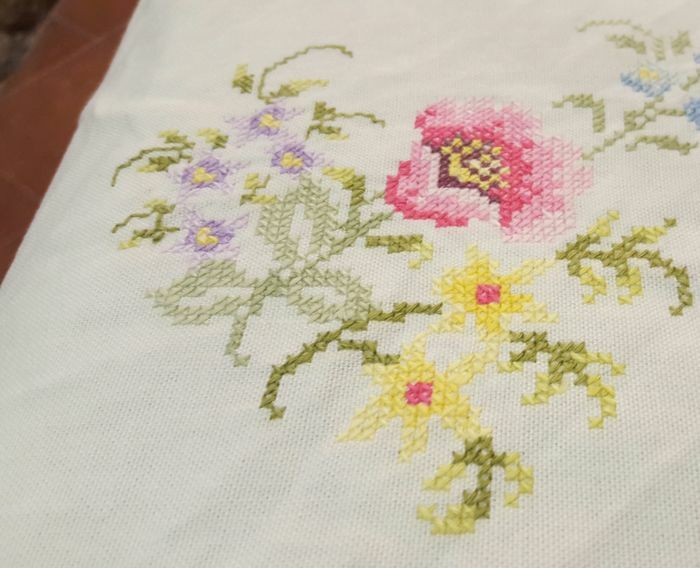 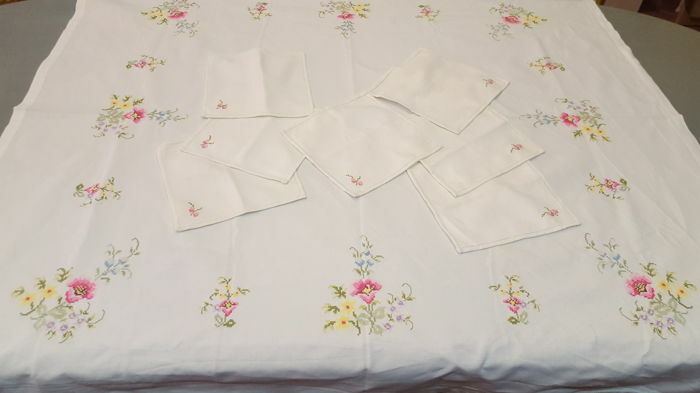 XL rectangular tablecloth entirely made by hand in cross stitch with floral motifs in shades of pastel and perimeter hemstitch at the bottom. 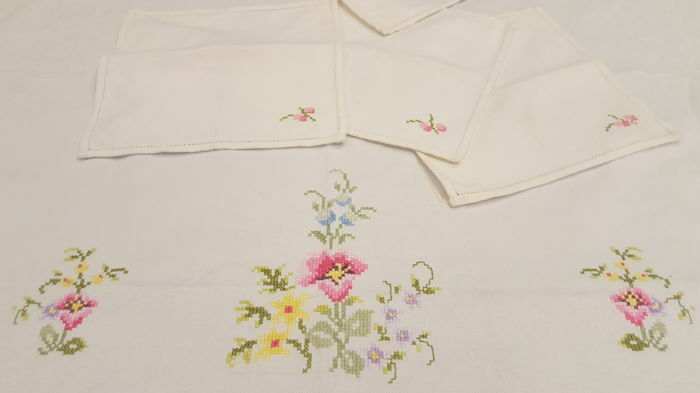 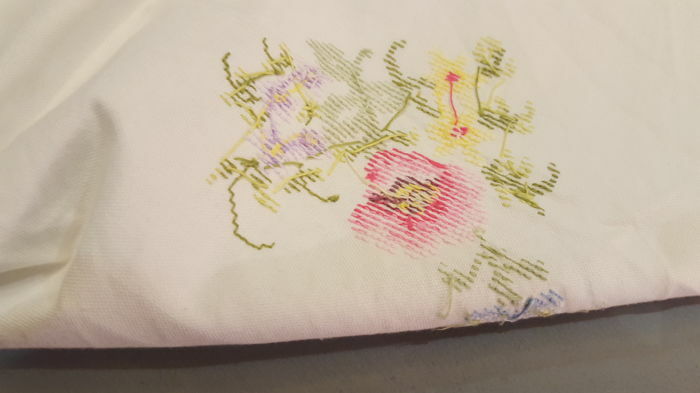 I give away 7 napkins of 21 x 21 cm embroidered in Panama cotton. 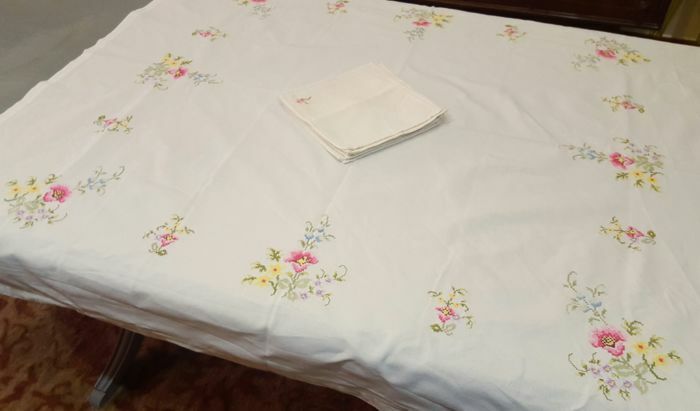 Tablecloth dimensions: 120 x 120 cm. 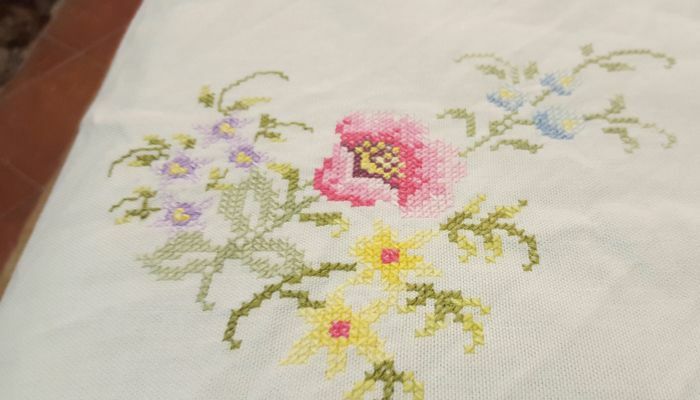 Handmade embroidery in cross stitch with different floral motifs in great chromatic variety. 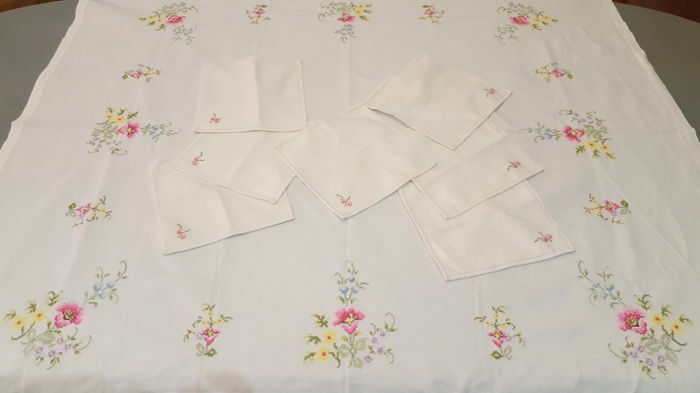 Preciosos los pendientes y muy bien envueltos.